Watch the Hot Gal Nuh Fight Ova Man video below in all its glory and check out the lyrics section if you like to learn the words or just want to sing along. Tell us if you like it by leaving a comment below and please remember to show your support by sharing it with your family and friends and purchasing Mr. Vegas' music. We are sorry but we do not have Hot Gal Nuh Fight Ova Man lyrics by Mr. Vegas at the moment. We are doing our best to post them as soon as possible. Please check back later. If you happen to know the lyrics and would like to contribute to our site please feel free to submit them by using the form below. All submissions will be reviewed within 24 hours. We appreciate your support. The music video for Mr. Vegas' single Hot Gal Nuh Fight Ova Man has already been viewed 17,049 times since it was posted on Wednesday, April 30, 2008. 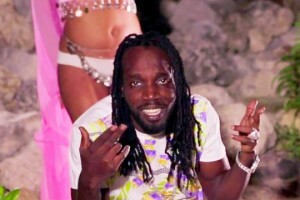 The video belongs to the music genre of Reggae.